We raise three kinds of pigs. 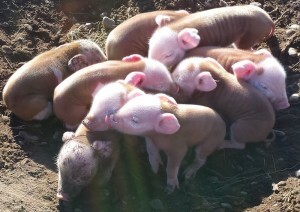 We sell piglets, pigs ready to butcher and pork cuts. The Hereford Hog is a breed that we raise. 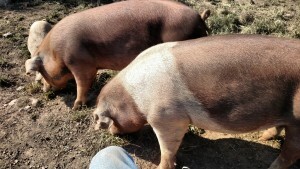 These are great pigs I temperament, fast growers and they look great. 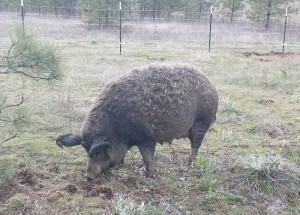 We also raise a charcuterie quality pig that has Mangalitsa and Berkshire as well as some other breeds. Then there is our meat herd. A mix of Duroc, Gloucester Old Spots, Berkshire and other, they’re fast growing meat pigs.